All software and data residing on our secure servers are backed up on a nightly basis. Unlimited front-line helpdesk support is available to Assetminder users at all subscription levels via phone & email. Click here to contact support. Can we add new users at a later stage? Yes. You can add as many users as you wish. This is one of the advantages of the Cloud; as your company grows, Assetminder grows with you. The only additional cost is extra licences and of course a PC/tablet to access the software. All software updates and upgrades are included in your monthly subscription fee at no additional cost. New features and functions are rolled out to you automatically. Assetminder comes with a learning management module which includes hours of training videos designed to take each user through the operation of every aspect of the software. Should you require onsite training or one-to-one online training, please contact us. How long has assetminder been in business? Assetminder is a new company with brand new, state of the art technology & software. 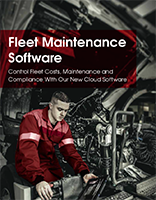 However, the principals of Assetminder have over 40 years experience in the commercial vehicle maintenance industry, and their previous fleet maintenance software product, Fleetminder, has been installed in over 400 companies in the UK & Ireland since 2002. In truth, data security is independent of whether the server is sitting right next to you or in a different city. SaaS vendors are actually able to invest much more in security, backups and maintenance than any small to medium enterprise. For this reason, a web-based system typically has more security measures in place than an on-premise system. SaaS is a method of software delivery that allows data to be accessed from any device with an Internet connection and web browser. In this web-based model, the software is hosted and maintained on computers & servers, located in a datacentre. The computers & servers which host Assetminder are located in an Amazon EC3 datacentre. Companies don’t have to invest in expensive hardware to host the software, and this in turn, allows buyers to outsource most of the IT responsibilities typically required to troubleshoot and maintain the software, eg. security, backups, virus protection etc.. The SaaS vendor takes care of it all. The cloud refers to a collection of computers, servers and databases that are connected together in a way that users can lease access to share their combined power. The computing power is scalable so that buyers can dynamically increase, or decrease, the amount of computing power they lease.